On Supernatural, the character of Lucifer has been played by many different people since his debut in season 5. 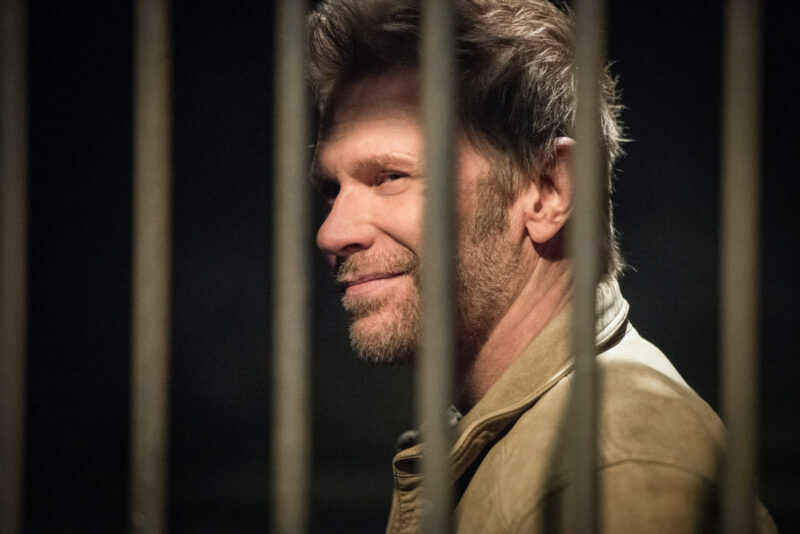 When you think about or hear the mention of him, you cannot help but picture Mark Pellegrino’s version of the fallen angel. Love him or hate him, he provides both comedic and problematic moments. You cannot deny that he has had some critical plot lines over the years. 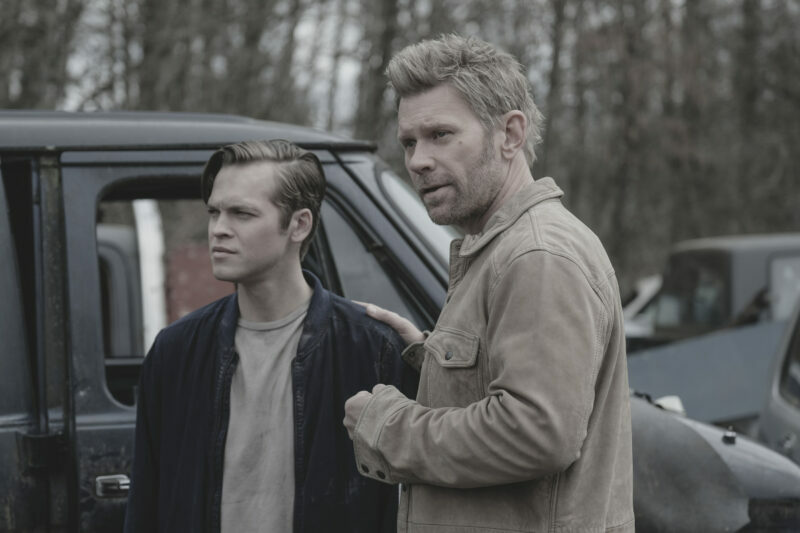 Looking back over season 13, it began with Lucifer’s plan of changing and becoming someone that his son Jack would choose over Castiel and the Winchesters. To do that he decided he was going win Jack over by showing him he could be good by doing half-hearted acts of kindness, “helping” heaven and saying that they could be a family. Of course, in true Lucifer fashion, there was an ulterior motive. When Jack called him a monster (once he discovered Lucifer’s true intent for power, not a relationship) Lucifer stole Jacks ultra powerful nephilim grace and kidnapped both Sam and Jack. The season concluded as Dean, who allowed Michael to use him as a vessel, stabbed and killed Lucifer with the archangel blade. Weak from being tortured, drained of grace and escaping from the Apocalypse Universe version of Michael, he stumbles into the playground where Castiel is being attacked by angels. Lucifer threatens the angels, so they leave, not knowing that he couldn’t have done anything to them. 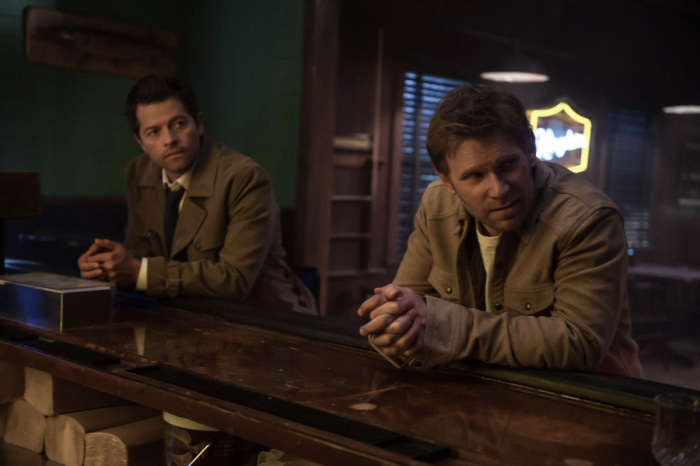 Lucifer tells Castiel about AU Michaels plans to come to take over this world and that Jack, Castiel and him should team up to stop him and save the world. When Lucifer is with Castiel at the coffee shop trying to convince him to team up, he asks what his son is like. When it involves Lucifer, you know he generally has ulterior motives, but at this moment he is generally curious about his son. Despite asking because he was wanting to know about his power and if Jack is anything like him, he seems to actually care as he asks if he is alright, since he can’t sense him. After taking more of Sister Jo/Anael grace at the hotel, Lucifer opens up to her about what has been going through his mind. Lucifer is not at full power yet so until he has his full grace, his human-side emotions and concerns shine through. 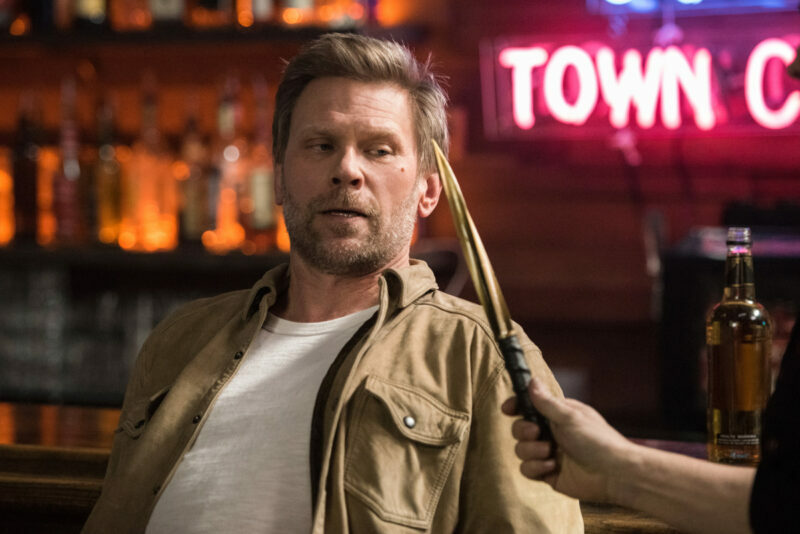 It is a touching and vulnerable moment between the two especially when Lucifer reveals the fact that he has always wanted to fit in. It felt like we were seeing a glimpse of who he was before he was banished, and the bitterness took over. We got to see a genuine side to him worrying about being a father and if he will mess it up. That is an understandable concern for many who are parents or becoming parents. He confides to the bartender that he realized what matters, and that is his son. Lucifer is upset that he can’t sense Jack’s power anymore. (What Lucifer doesn’t know is that this is because he is in the apocalypse universe.) Somewhere deep down he is coming to realize that what he is missing is family. Jack is his chance to have a family again. What I also loved about this scene is “Cats in the Cradle” by Harry Chapin is playing in the background. Sam is trying to convince Jack to get on the bus, so they can leave. Jack doesn’t want to leave before killing Michael, so he is not really listening to Sam’s reasoning. Lucifer walks over to see what is going on and tells Jack that he agrees with Sam. After hearing Lucifer’s reasons, Jack agrees and goes to get on the bus. This is a big moment for Lucifer in the father-son department. Jack has spent all of his time with Castiel and the Winchesters, especially Sam, who has always supported and been there for Jack. To have him listen to Lucifer right away and not Sam is surprising. Lucifer is obviously happy about it, thinking he is getting through to him, also giving him hope that Jack will choose to stay with him. 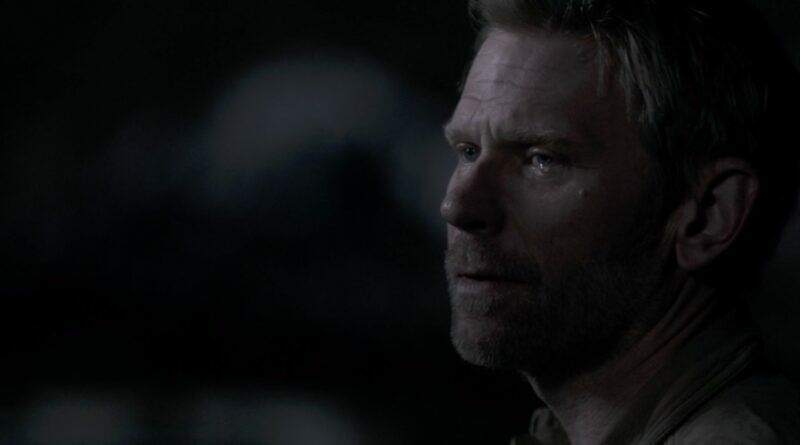 A single man tear by Lucifer (Mark Pellegrino). While staying back at base camp with Gabriel they talk about Jack. Gabriel tells him that he will ultimately see Lucifer for who he is – evil, not a victim. When Lucifer says that he has changed, the expression on his face is as if he really thinks or wants to believe that is true. He wants to believe that his son, his blood, his family will choose him. My favorite part about this scene is when Gabriel tells Lucifer that it is too late for him, and we see him shed a single tear. Have we finally seen the last of Lucifer? 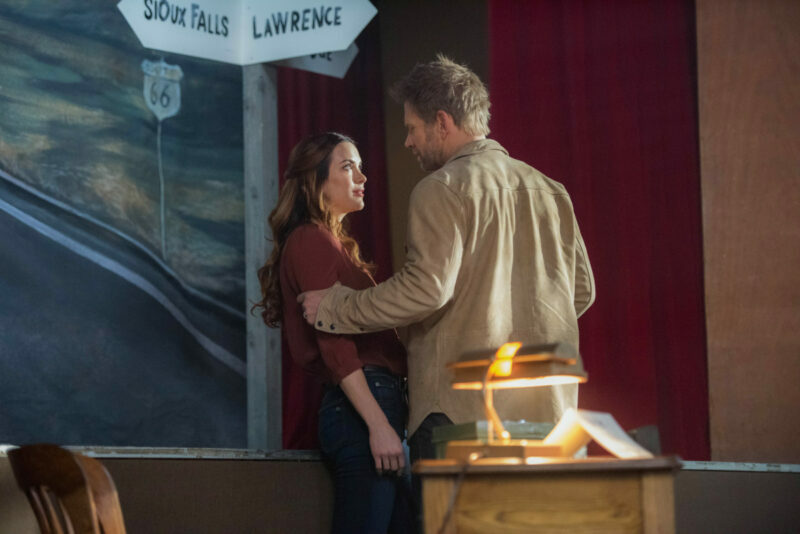 Will Jacks nephilim grace have an effect on Lucifer’s fate? Leave your thoughts or a favorite moment in the comments! Previous story New York Comic Con Saturday Recap: ‘Daredevil’, Kat McNamara, Travis McElroy, and more!